WHAT IS IT? I’m not a big fan of red nailpolish so I don’t own any traditional real cherry or tomato red polish. 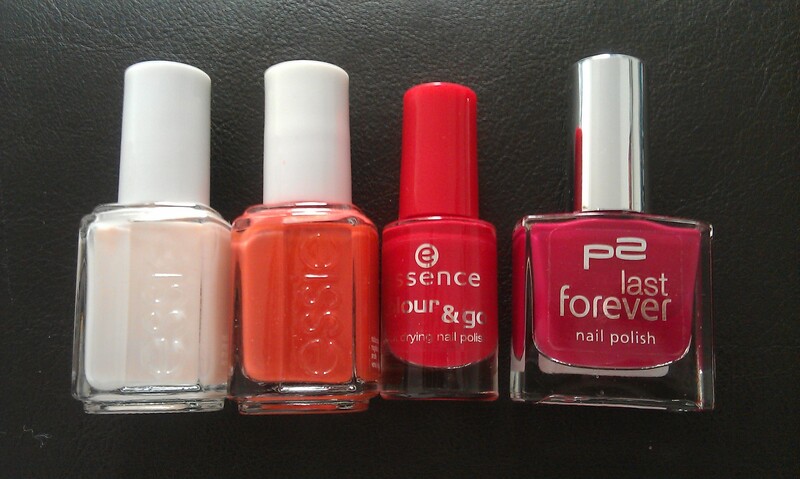 Mine are either more muted reds or pinky red like my favourite P2, french kiss. 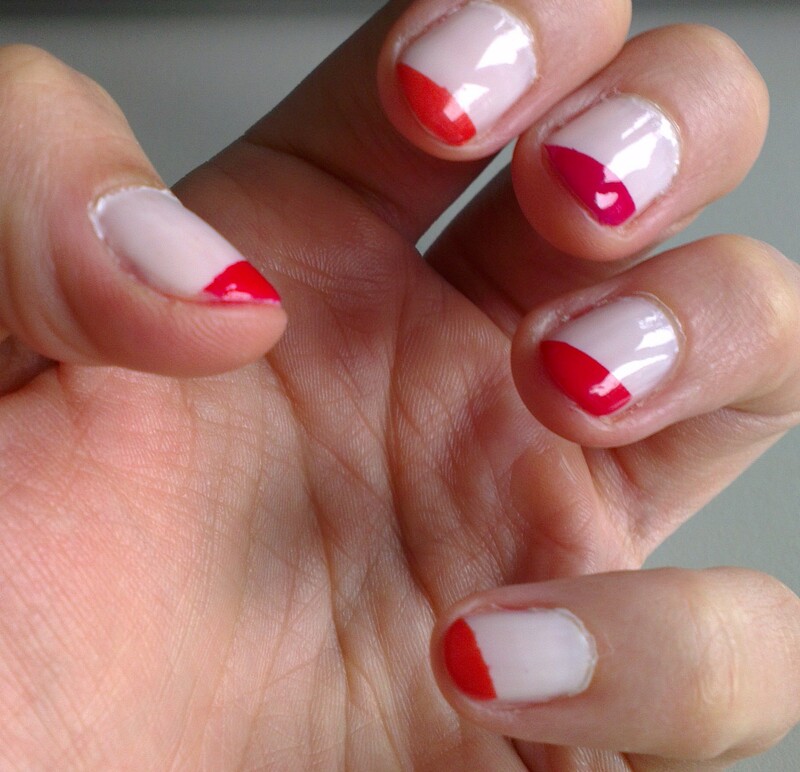 For the challege I got inspired by essie’s DiagoNails video tutorial. WHAT IS USED: I used essie’s 8 limo-scene as a base and as the three different reds: essie’s 70 chubby cheeks (orangy red), essence, 92 better late than never (medium raspberry) and p2, 170 french kiss (totally raspberry). HOW DOES IT FEEL: A tape mani always takes its time but I think the result is worth it. And what I liked best about it, is the fact that you can use different shades of red or any other colour you like to make it more interesting. This entry was posted in Nail Art and tagged 31 day nail challenge, better late than never, chubby cheeks, essence, essie, french kiss, limo-scene, Nailpolish, P2, Tape Mani by kathatravelling. Bookmark the permalink.